What is "Treasures of the Heart"? 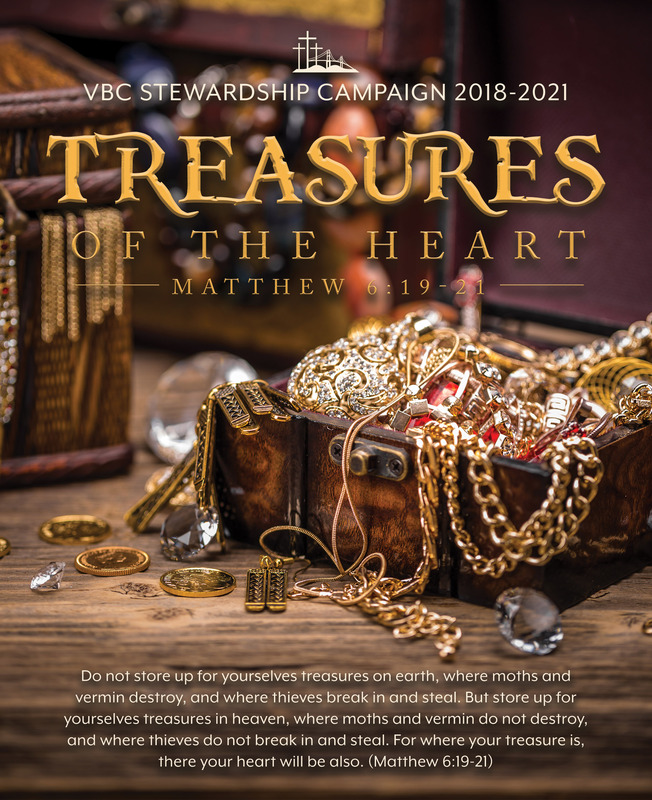 We adapted the theme “TREASURES OF THE HEART” based on the passage in Matthew 6:19–21, with this thought in mind: Jesus Christ said, “Where your treasure is, there your heart will be also.” The question that comes to mind is: What treasures of your heart are you pursuing that will have an eternal value? Please join us in placing your treasures into things that will last for eternity. The Silver level, when reached will allow us to pay the mortgage, in an accelerated way, for the next 3 years, reducing the principal mortgage balance by $720,000. All of the funds received above the Silver and Gold levels will go towards the balance of the current mortgage. This level, when reached, will allow the mortgage to be paid in full, freeing up resources, creating more missions and ministry opportunities in the future. If you want to invest your treasures in heavenly things, please place your commitment online via Fellowship One or download and fill out a commitment card. You may also use Fellowship One Online Giving to make a one-time gift.